Let the Hotel Afa Residence win you over. Here, you reside in palatial rooms that impress you with their modern elegance. During nice weather, enjoy a romantic dinner at the restaurant. A delicious breakfast is also well provided for. 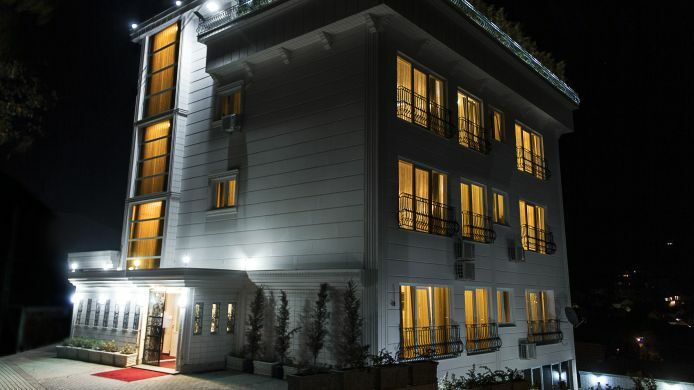 This hotel is located on the north-east side of Priština. The lovely city centre is a few minutes' drive. A particularly worthwhile attraction is the Great Mosque of Priština. The impressive buildings captivate you with their splendid architecture and numerous historical murals.